Ride with Trust, Ride with Uptown Limo Service. Uptown Limo & Car Service is Berks County’s leading airport shuttle service providing door-to-door ground transportation to many customers in our area. We offer the easiest and most cost-effective airport shuttle service to and from the airport from your home, office or hotel. Uptown Limo & Car Service prides it’s self on impeccable quality service, reliability and experience to help make your event transportation flawless. Our staff of professional limo specialists will answer any questions and address any concerns prior to your event to ensure your special day is picture perfect. 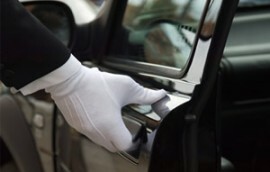 Our limos are maintained to the highest level of care. Uptown Limo & Car Service offers private executive car services in the Reading, Pa Berks County area for corporate clients, VIP’s and individuals seeking car & limo services. Our services include airport pickups and drop offs, business event transportation, hotel transportation and customized destinations. We strive to give our customers only the best so that they keep coming back for more. We provides affordable transportation to the following airports ... Reading, Philadelphia, Lehigh Valley, Harrisburg, Newark, JFK, and LaGuardia. We also provide car and limo services throughout Berks, Chester, Delaware and Bucks County. Uptown Car & Limo Service is committed to getting our clients to their destinations in a safe, comfortable and timely manner. Uptown Limo & Car Service prides it’s self on impeccable quality service, reliability and experience to help make your event transportation flawless. 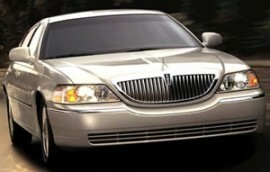 Whether it’s a corporate event, wedding, a night on the town, or airport service let UPTOWN take you there! I would definitely use your service again! Everything went perfect. Thanks for the great service. My driver was absolutely wonderful!